Dr. Stewart takes extreme pleasure in diagnosing and treating his patients visual problems, but also enjoys learning about his patients on a personal level. Dr. Stewart always knew that he wanted to practice medicine, but became obsessed with the field of optometry on a routine visit to his local Optometrist. He is a native of Fayetteville, N.C. and a proud graduate of East Carolina University. 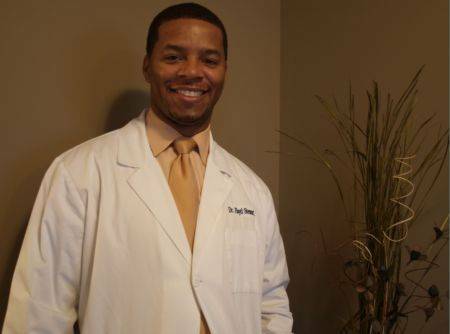 Upon completion of his undergraduate studies, Dr. Stewart enrolled into Southern College of Optometry in Memphis, T.N., where he obtained his Doctor of Optometry degree while graduating with honors. 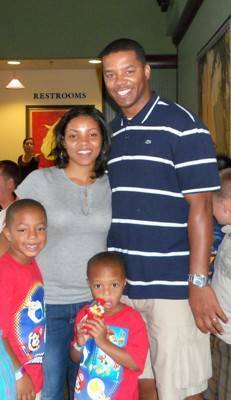 When Dr. Stewart is not seeing patients at his practice, he enjoys a variety of sporting activities, but most importantly he enjoys spending time with his wife Keisha and their two sons, Dorien and Braylon. Dr. Stewart is an active member of the American Optometric Association, North Carolina Optometric Society and Eastern District Optometric Society. Dr. Stewart specializes in primary care optometry, contact lens fittings and evaluations, refractive surgery consultations, and treatment and management of ocular disease. Dr. Stewart is currently accepting new patients.